DriversEd.com's Virginia online driving school gives you high-quality online drivers education that saves money and lives. Get started with our fun online course for homeschool teens under 19! From Alexandria to Virginia Beach, DriversEd.com provides unbeatable online Virginia driving school. With clear writing, helpful graphics, and fun activities, movies, and games, our courses are built to help you achieve success. 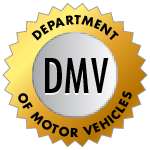 Teen drivers ed, driver improvement courses, high school credit, auto insurance discounts, and practice permit tests—you'll find it all online at DriversEd.com! At DriversEd.com, we understand how inconvenient it is to have to sit through drivers ed in a cramped classroom. That's why we offer online course access any time of the day or night, from any computer with an Internet connection.Our all-online Virginia driving school fits your schedule, not the other way around. Wherever and whenever you choose to study, we want you to succeed!